Before, we start on this topic, please note that if you have any comments about this podcast talk or if you have your own questions, please send them to iqrasense@gmail.com. Depending on the questions, we will try to get to them. 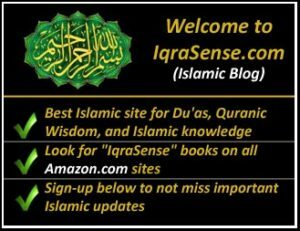 Also, please don’t forget to subscribe to this podcast (called as IqraSense Islamic Podcast) on iTunes and also subscribe via Email on the IqraSense.com blog. 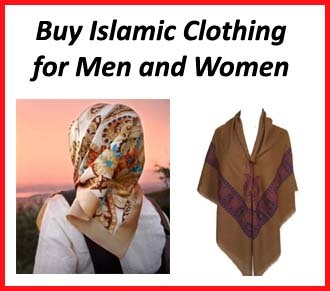 Getting back to the issue and the question, unfortunately, this is a typical problem in a lot of Muslim households and may be more so in those who are living in western societies. But as the online world has opened up cultures and societies to each other and as people are watching videos and shows from pretty much all over, I believe the problem is more universal and not just confined to any specific countries or societies. 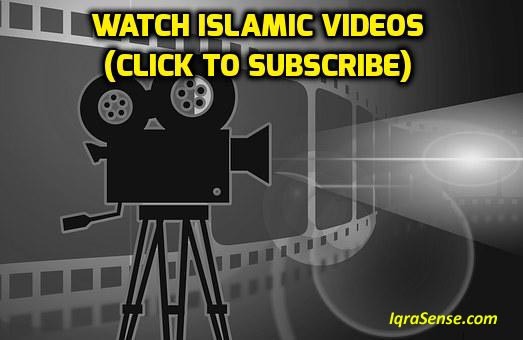 Now a couple of decades ago or may be going back farther in time, we would have said at that time that the problem is not as bad in Muslim households because of the Islamic upbringing that the children would get from their parents and relatives. But the sad part is that because of the opening up of the world, the problem has crept in Muslim households as well. In any case, getting back to Fouzia’s problem and her question, there are three things that need attention and reminders. Like most such problems in life, there is usually no silver bullet types of answers. One needs to a do a number of things, follow certain best practices and advice, and be patient and results would then show up gradually. So, even in this case, I will cover three points and no matter how basic they may seem to you, it’s important to focus on all three points and then we will take it from there. The very first advice I will give to Fouzia and others who are having similar issues is to start respecting your parents. Now, this may seem out of place for the problem that we are trying to solve but this is an absolutely essential step if you hope to make any inroads with your communications with your parents. In fact, I will go further and say that if you are having issues with anyone and not just your parents or loved ones, you need to start showing respect to the other person. Once the other party feels that respect, they will become more open to what you have to say and your message can then start flowing to the other side – in their minds – where it can get processed. You see, just because we shout loudly doesn’t mean that our message will make it to the other side. In fact, communicating with someone while you are shouting and supposedly disrespecting has the exact opposite effect. So, getting back to our issue that for anyone having such issues, you need to take a step back and first respect the other person and in this case, respect your parents. And, respecting parents shouldn’t be very hard. Islam, through the teachings of Quran and Prophet Muhammad – pbuh’s – Hadith, has emphasized the need to respect one’s parents. 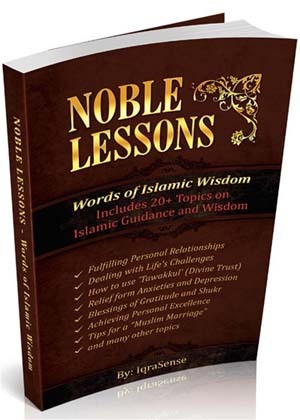 Now at this point, you may say that yes we know all that, it’s important that we cover some of those teachings as a reminder and that will further reinforce within ourselves the need to respect our parents. “And your Lord has decreed that you worship none but Him. And that you be dutiful to your parents. If one of them or both of them attain old age in your life, say not to them a word of disrespect, nor shout at them but address them in terms of honor. These two verses have a number of powerful messages in them but we will focus on a couple. First, we can see that at the beginning of these verses, Allah reminds us of the fact that we should not worship anyone but Him. 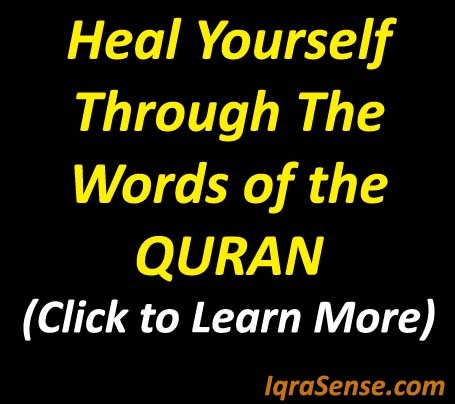 This fact is the foundation of Islam and is repeated several times in the Quran. Having this belief is so important that one isn’t considered a Muslim without this. So, immediately after this Allah commands us to be dutiful to our parents. According to a number of scholars this is done to highlight the importance of respecting ones parents. We Muslims understand the importance of worshiping no one but Allah and by immediately mentioning the topic of respecting ones parents after it is to send a clear message that this is no ordinary instruction and command from Allah. The other commands in this verse are obvious – don’t be disrespectful to your parents, don’t shout at them, and address them in an honorable way. The message in these verses couldn’t be clearer. It needs no special and length scholarly interpretations. And at the end, Allah ends these verses by telling us one of the reasons why we should do this meaning why we should be respectful to our parents and that is “My Lord! Bestow on them Your Mercy as they did bring me up when I was small’”. Again, the message is clear here. As we grow up, we tend to forget the pains and trials our parents go through in raising us. We in fact forget it piece by piece – each year – as we keep getting consumed by our thoughts, wishes, and priorities and we not only start taking their unconditional caring and love for us for granted but we demand it as if it were our God given right. So, as a Muslim child of your parents, this is one of the most important lessons that I can remind you of today and that is BE RESPECTFUL TO YOUR PARENTS. And that doesn’t mean that you do it once in a while but it rather means that you should be always respectful to your parents. Our parents deserve our utmost respect. For us to shout and raise our voices in front of our parents and then to go and appear nice and professional to others is hypocritical and selfish and antithesis to what our Islamic values teach us. Just remember, if you don’t stop disrespecting your parents, your children may very well do it to you one day and when you feel the pain, it may be too late for us to rectify it. There are many more verses and ahadith on this topic but suffice it to say that regardless of what the situation is, we should do our best to respect our parents. So, how do we do that? First, if you are guilty of this, then tell yourself to STOP. No ifs and buts. Commit to yourself that you will not disrespect your parents. We have seen it already that Allah that you worship and the Prophet you follow have told us SOOO much about this. So, STOP. Second, if you have been really bad with your parents, you should apologize to them and tell them that from now on you will do your best to refrain from this behavior of yours. We know habits are difficult to change overnight. But the fact that you are sincere in committing to a new behavior and telling your parents that you will be working to rectify this is a great step. This will make your life so much easier going forward. First, you will be at peace with yourself. Second, you will open up a communication channel with your parents and you will notice that they will reciprocate as well. We will talk about this in our next point in a minute or so. Also, and more importantly, you will please Allah, your Lord and if you do that, you will notice its effect in other parts of your life where you will notice more doors open up for you. Do this act for the sake of Allah and for the sake of following the Prophet’s commands, and you will notice a big change in your life. The next point that you should do is to start working on improving your communication with your parents. Now, that you have started to respect them and in return they have started to reciprocate, there will be an increased chance of them listening to you. Any human being when talked to in a nice and polite way will listen to you. They won’t outright discredit you. When the other party can understand you, you have already accomplished a major goal. This doesn’t mean that they may agree with you but at least you have gotten your message across and that’s a big plus. Take the time to sit with your parents and in a nice and polite way tell them the specific issues and problems that you are facing. When you do that it will have many benefits. First, many simply end up in shouting matches because they are frustrated. There may not be a big issue per se. Just frustration from other sources. But that doesn’t mean that you start shouting at your parents and it also doesn’t mean that you have a major issue and that your parents are not listening to you. They may not be listening to you simply because there is nothing major to listen to and they simply have to deal with your tantrums. But if you do have a problem, thinking about it first, and then talking it out in a nice and polite manner will open up doors for you. Remember, parents love their children. They do everything for their children. And they will do whatever possible to relieve your suffering, if they get to understand your issues. The point that I would like to summarize here is that both you and your parents need to find a way to talk to each other about your issues in a nice and calm manner. Start that process by firs trying to understand the other fully. Let not any of you react to each other’s emotions without understanding each other first. As the saying goes, “Seek First to Understand, Then to be understood”. The third and final reminder I will cover here is to exercise patience. We know life is not easy and it definitely doesn’t usually go according to our whims and desires. And this is why both the Quran and Hadith have stressed the need for patience. We don’t have enough time to discuss the topic of patience today but perhaps In’Sha’Allah we will cover it later. Suffice it to say that the tool of patience has helped prophets, messengers and many more get through their ordeals in life. Some of us misunderstand the concept of patience. We would cry, shout, and complain all day of our problems and then we would tell others that we are being patient. That’s not what patience is. Some of us who suffer exercise patience and some simply don’t. We always have a choice to adopt a certain behavior for ourselves. Getting back to Fouzia’s case and others going through it, remember that things will not go smoothly even as you start to implement these points. Change sometimes takes time. Habits, whether they are yours or that of your parents are not going to change over time. Both of you will find yourselves sometimes returning to old and bad behaviors. Here is where you have to be patient and keep working to improve yourself. 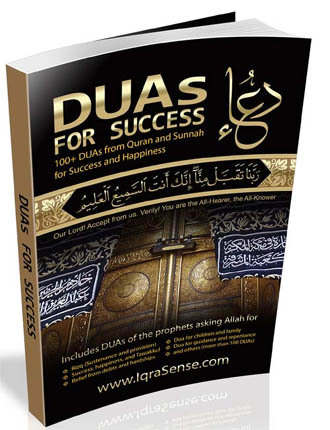 You should also ensure that you recite the many Duas and prayers related to patience that both the Quran and the prophet have taught us. 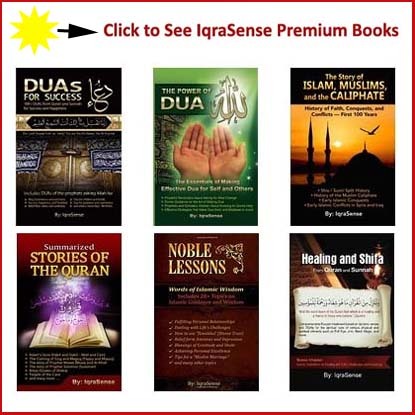 Some of those are posted on the IqraSense blog and you can search for those and say them repeatedly as divine intervention from Allah will greatly help you become more patient with time. Before I close, let’s review the three points. First, ensure that you understand the need to respect your parents and start respecting them unconditionally. This is a command from your Lord and the Prophet has told us of this repeatedly in his teachings. Second, once you have established respect and trust, open up communication channels with your parents and find ways to talk to them, understand them, and to make them understand of your problems and issues. Finally, exercise patience. 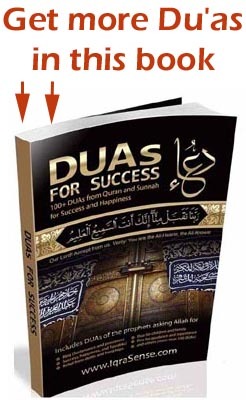 As you do this, say a lot of Dua’s asking Allah to make you patient. I hope and pray that this helps all of us who are experiencing similar issues in life. 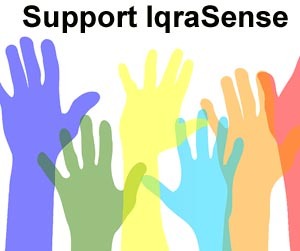 If you have any comments about this podcast talk, please send an email to iqrasense@gmail.com. 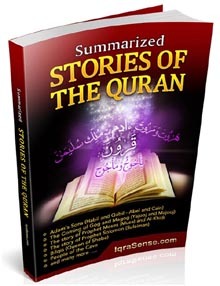 Please don’t forget to subscribe to this podcast on iTunes and also subscribe via Email on the IqraSense.com blog. Jazakallah, my fortune to read such a great article. Teaching Islamic education to our kids should be our first priority in our life. 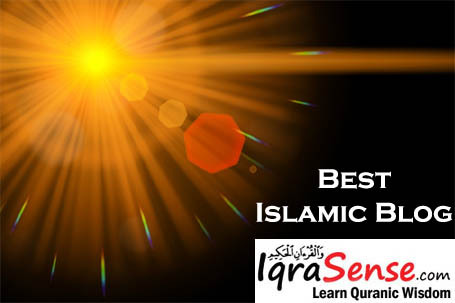 Now we can get help from Online Quran Academies also like QuranHost that has very professional Quran tutors.